An unknown artist designed| hand carved and painted this charming toy and the box in which it was presented. 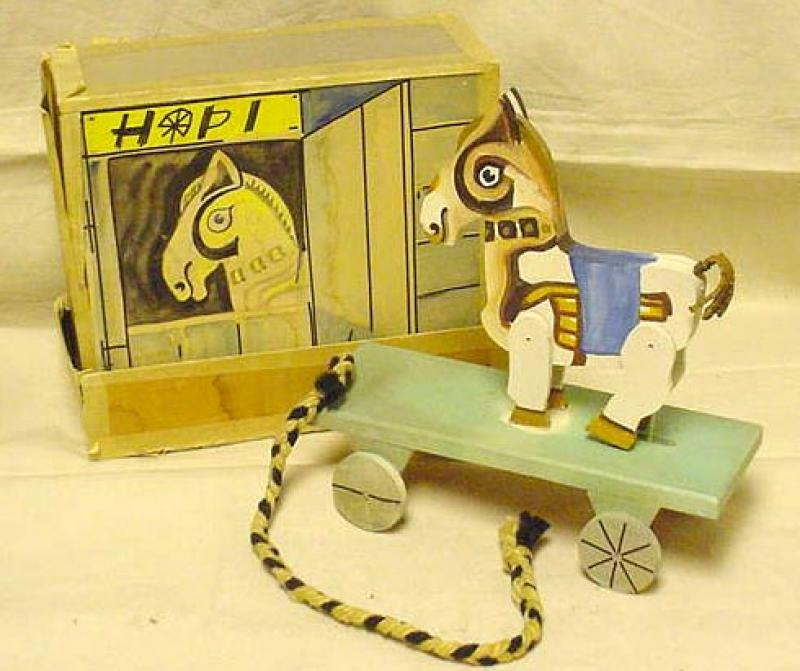 HOPI| the horse's name| is hand painted on the box. A braided yarn pull attached to a wooden base with wheels adds to the charm of this unique piece.